Cures A-Z is a medical guide for people who prefer to use natural therapies to manage health issues when they can, but are content to use prescription therapies when they're the better choice. Developed by world-renowned integrative physician, researcher, and best-selling author Jacob Teitelbaum, M.D., along with his wife, nutritionist Laurie Teitelbaum, Cures A-Z shows you when to use either approach, or when to combine the two, in order to produce the healthiest and most effective treatments for common health issues. Cures A-Z covers hundreds of different health conditions. 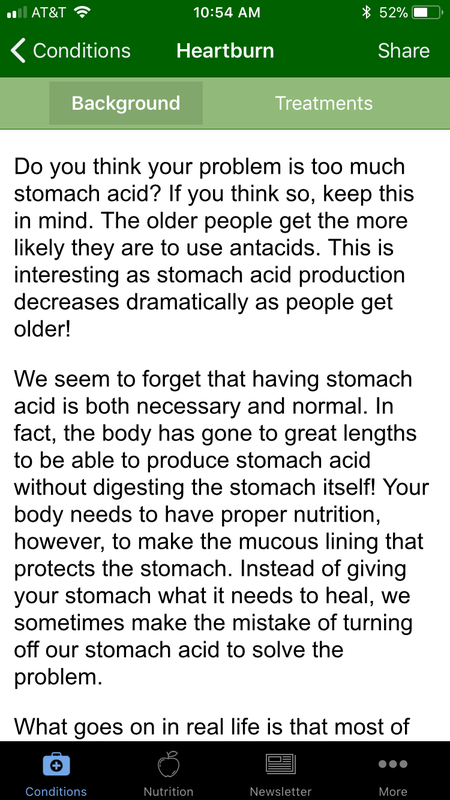 It's a powerful resource that uses straightforward, easy to understand language to share practical, science-based health advice that's supported by years of medical research. Conditions A-Z: An index of hundreds of health conditions and recommended treatments using the best of both natural and prescriptions therapies. Nutrition Guide: An index of the vitamins, minerals and other nutrients your body needs, what they are, and the role each plays in your body's health. 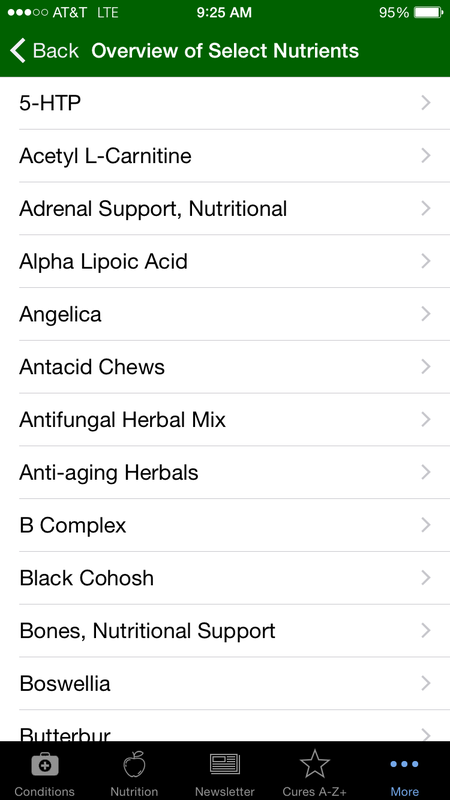 Backgrounds on different herbals and their benefits as supplements. 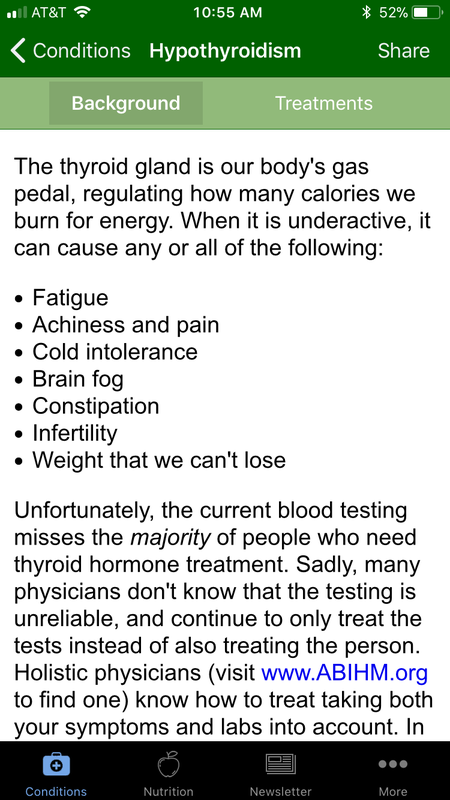 Access to "Vitality101," Dr. Teitelbaum's informative and fun newsletter that keeps you on top of the latest research on how to maintain peak energy and optimal health. Links to useful health resources on the web. 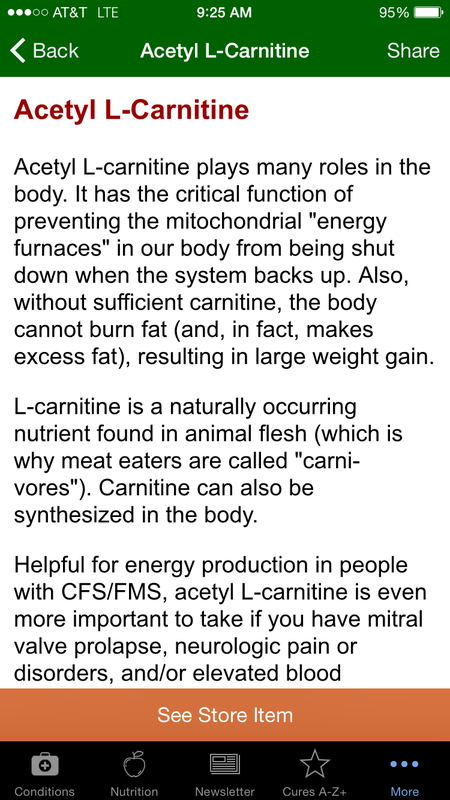 Information on natural supplements available at local health food stores and the web. 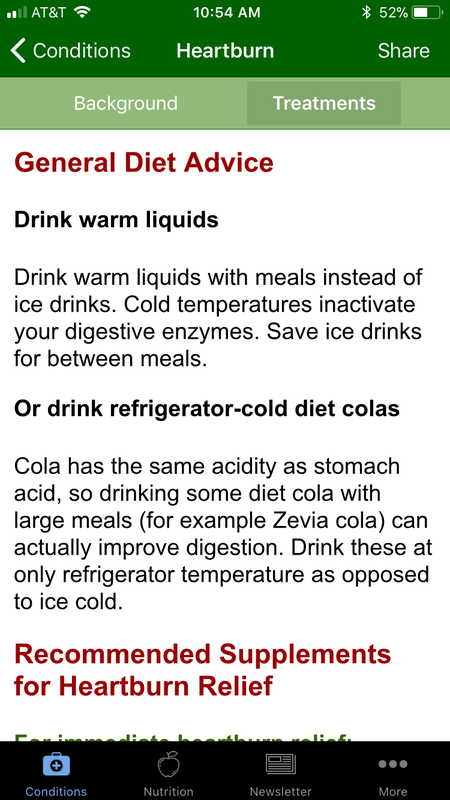 Cures A-Z is available for both iPhone and Android. 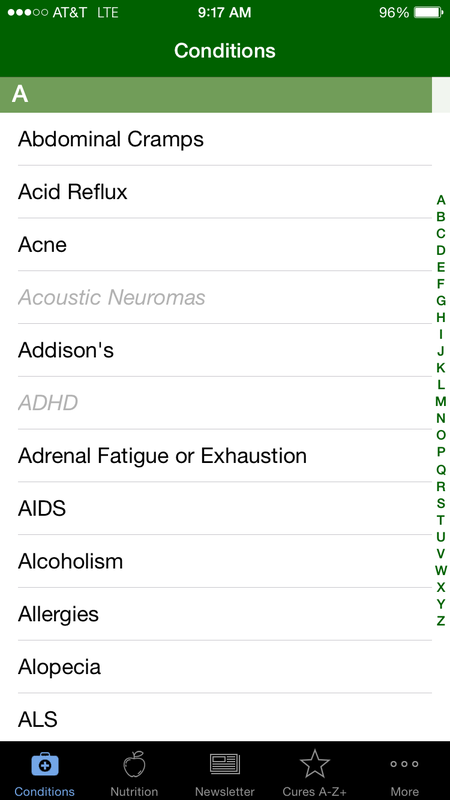 You can find it from your phone by searching for "Cures A-Z" in your app store. You can also visit the store pages for each below. A premium version of Cures A-Z is also available for a one-time price of $1.99. This version, called "Cures A-Z+" (pronounced Cures A to Z Plus) provides all the content in in the free version plus much more. 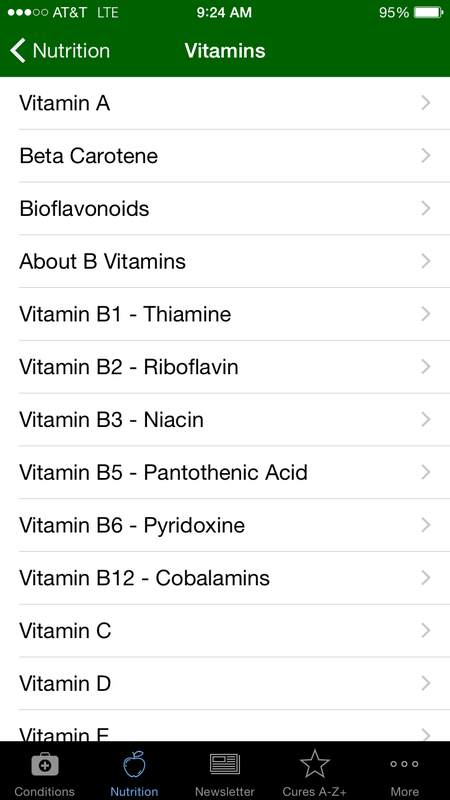 With Cures A-Z+ you get many new health conditions added to the free Cures A-Z, and revised versions of many of the free health conditions to reflect the latest information. 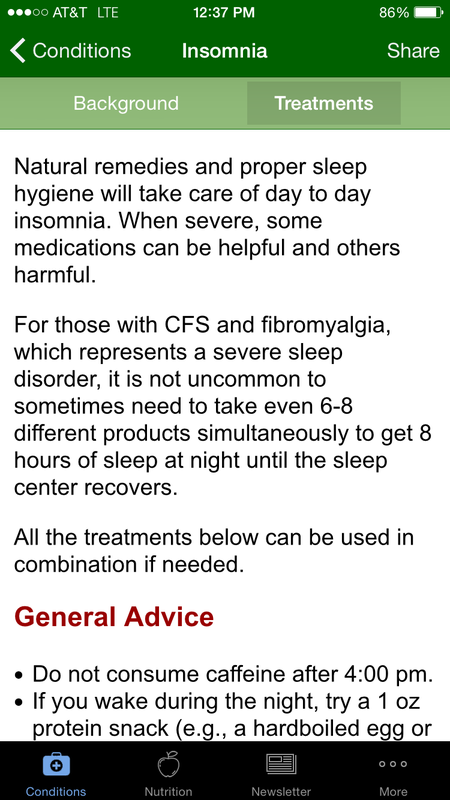 It also provides continuing updates of the health condition content when new information becomes available. 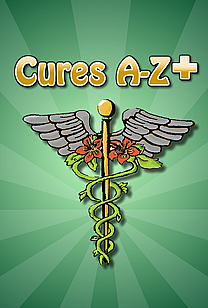 You can upgrade to Cures A-Z+ from within the free version.